HONG KONG (Reuters) - Hong Kong's securities regulator banned UBS from leading initial public offerings (IPOs) in the city for a year, while fining it and rivals including Morgan Stanley a combined $100 million for due diligence failures on a series of IPOs. 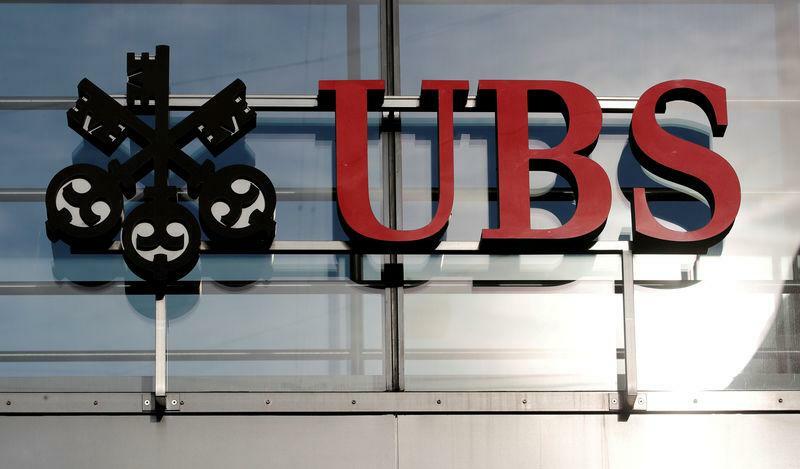 The Securities and Futures Commission (SFC) on Thursday fined Swiss giant UBS HK$375 million ($48 million). It fined Morgan Stanley HK$224 million, Merrill Lynch HK$128 million and Standard Chartered (StanChart) HK$59.7, all for failures when sponsoring, or leading, IPOs. Helping firms to list is big business in Hong Kong, which was last year's top IPO destination worldwide with $36.3 billion raised, according to Refinitiv data. "The outcome of these enforcement actions for sponsor failures ... signify the crucial importance that the SFC places on the high standards of sponsors’ conduct to protect the investing public and maintain the integrity and reputation of Hong Kong’s financial markets," said Ashley Alder, chief executive of the SFC, in a statement. Tianhe, engaged in the manufacture and sale of chemical products, listed in 2014 but was soon after targeted by a short seller, who claimed it had inflated profits and presented related groups as customers. The company denied the allegations. "We've seen this before in the accounting profession with the challenges to auditor scepticism. In some ways this is a similar situation for investment banks. The question now is has the industry moved on sufficiently from these failures," said one Hong Kong-based finance expert, who declined to be named because he was not authorized to speak on the subject. "UBS takes note of the findings of the Hong Kong Securities and Futures Commission's (SFC) investigations. We are pleased to have resolved these legacy issues relating to our Hong Kong IPO sponsorship license. We look forward to continuing to service our clients in Hong Kong," UBS said in a statement. “We welcome the opportunity to resolve this case with the SFC, which stems from matters arising over 10 years ago. We note that on 8 January 2015, Standard Chartered Group announced the closure of institutional cash equities, equity research and equity capital markets activities (including IPO sponsor activities)," StanChart said in a statement.